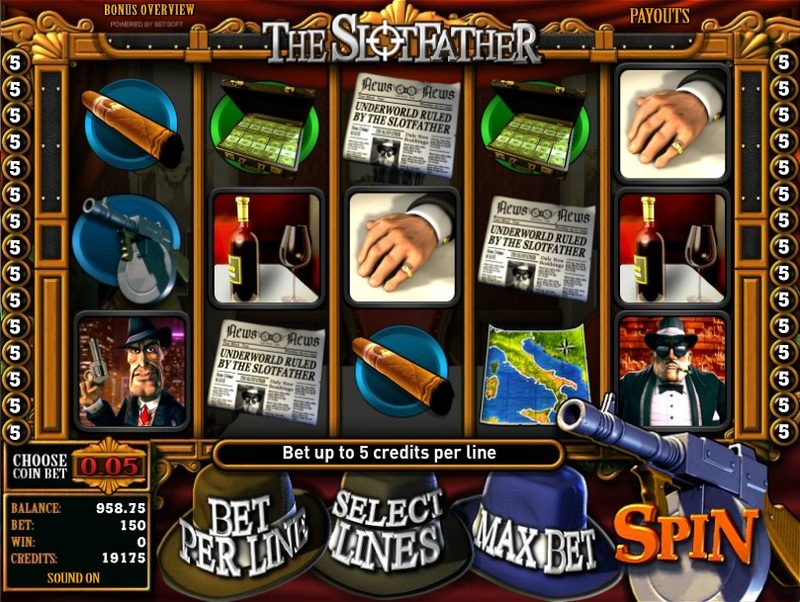 A slot that I enjoy playing a lot is Betsoft’s Slotfather. This 5 reel, 30 payline video slot has a great theme, based on a fictional Mafia-style Godfather and his illegitimate business. He is joined by other criminal characters in building wealth by any means possible. Fortunately, you can play at building your own wealth completely legally and let the Slotfather and his goons do the hard work for you. 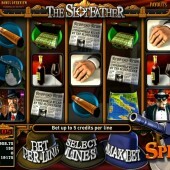 The Slotfather has a number of bonus rounds, with a variety of instant wins and free spins up for grabs. One of the smaller and more regular bonuses is the Sneaky Instant win, triggered by landing the Sammy ‘Quickfingers’ symbol next to a suitcase of cash. He quickly sticks his hand in the case and grabs you a handful of loose cash. There is also an Underboss scatter bonus that also awards you a win based on a combination of different symbols occurring when you get three or more of the Underboss logo. The Multiplier Mob Free Spins Bonus is also something to look out for. It is activated by landing Frankie ‘da Fixer’ on either side of the Tommy Gun symbol on Reels 1, 2 and 3 only. Frankie then shoots holes in the screen and you pick one. This will reveal a free spins reward of between 5 and 20, with a multiplier of 1x-20x. As you would expect there is a higher chance of getting five free spins at 1x, but on occasion you will get much better. The Slotfather Bonus is potentially the most rewarding of all. Land three or more Slotfather symbols on any active pay-line and you are then taken through to a new screen with a street corner. You then select three businesses to add your slot machines in and you are rewarded a bonus for each. Betsoft have done a great job with the Slotfather and I find myself coming back time and again, mainly for the entertainment aspect. It is similar in style of play to the popular Mr Vegas, but I think it has a little more going for it.